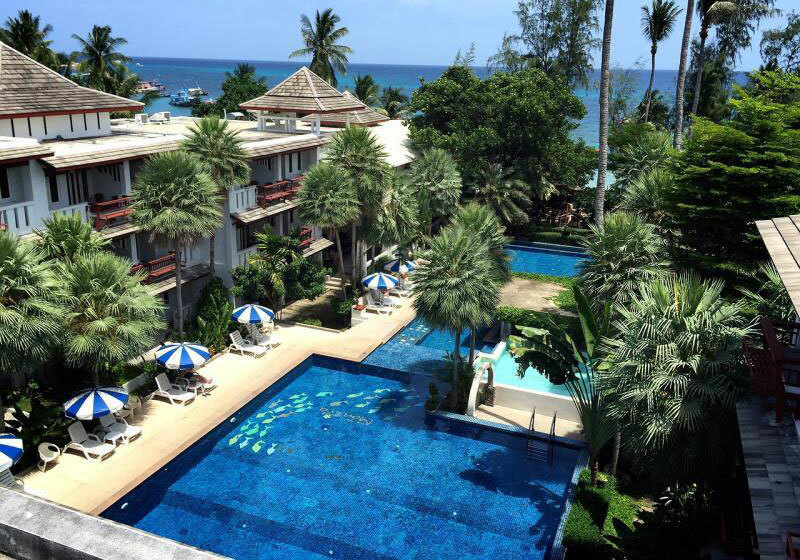 Koh Tao Montra Resort is a 4 star beach front dive resort on Koh Tao near Mae Haad pier. All of our Beachfront Villas, Junior suites, Deluxe and Superior rooms were designed for your enjoyment. The large and spacious room and bathroom are our guest most favorite and it is our uniqueness. Our conference room is big enough to welcome upto 100 guests for any seminar from domestic and overseas. We offer special free pick up/drop off service for direct booking. Our largest swimming pool on the island makes our resort most popular for group of families with children , we have beach front restaurant, Pool Bar, Beer Garden or enjoy our jacuzzi while soaking in the sunshine! We also operate diving from our sister company “Coral Grand Divers”, a PADI 5 Star Gold Palm Resort/Dive Center. Short Description: Koh Tao Montra Resort is a 4 star beach front dive resort on Koh Tao near Mae Haad pier. All of our Beachfront Villas, Junior suites, Deluxe and Superior rooms were designed for your enjoyment.